With only a little over a month left until my wedding, I am scrambling to take care of last-minute details! One thing I don't have to worry about anymore are the invitations, thankfully. I stumbled upon MagnetStreet Weddings while searching for our wedding invitations awhile ago and I fell in love with this design immediately. 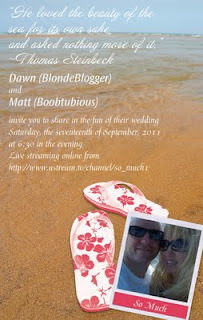 Our wedding, as you probably already know from our wedding blog, is taking place on the beach in the Outer Banks, so we wanted a beach-themed invitation. Hot pink and white are our wedding colors so that made these invitations even more perfect, but we could have changed the colors if we had wanted to. 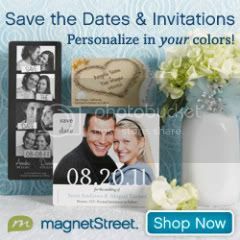 In fact, the personalization tools at MagnetStreet are what we love the most about them. Not only can you choose your own colors and add a photo, but you can also change the font type and size and you can even mix and match fonts as we did. MagnetStreet ensures that your order is exactly how you want it...not only are you given an online proof to review to ensure accuracy, but they also double-check your order for you. They contacted me after I placed my order to let me know that the photo I had uploaded wasn't large enough and would appear pixilated in the invitations. I was able to send them a larger version and it turned out perfectly! It's rare to find that kind of customer service and with something as important as wedding invitations, it's comforting to know that an actual human being is quality-checking each, individual order. In fact, most of MagnetStreet's invitations come with matching sets as well as a variety of ordering choices (layered, tented, flat, etc.). Disclosure: I received complimentary products from MagnetStreet Weddings to facilitate this review, but chose them as our invitation vendor before comp products were discussed. We're so happy to hear that your invitations are a big hit! 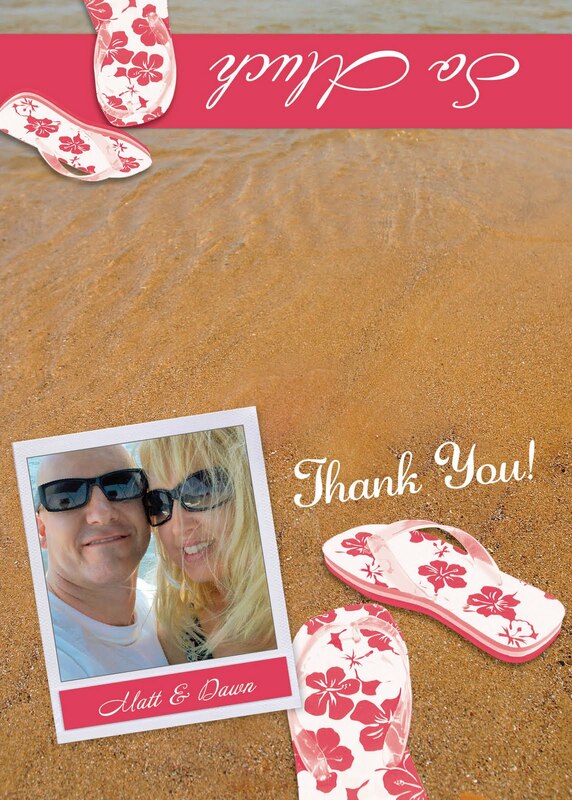 It has been wonderful to work with you on your wedding plans. Congratulations again!